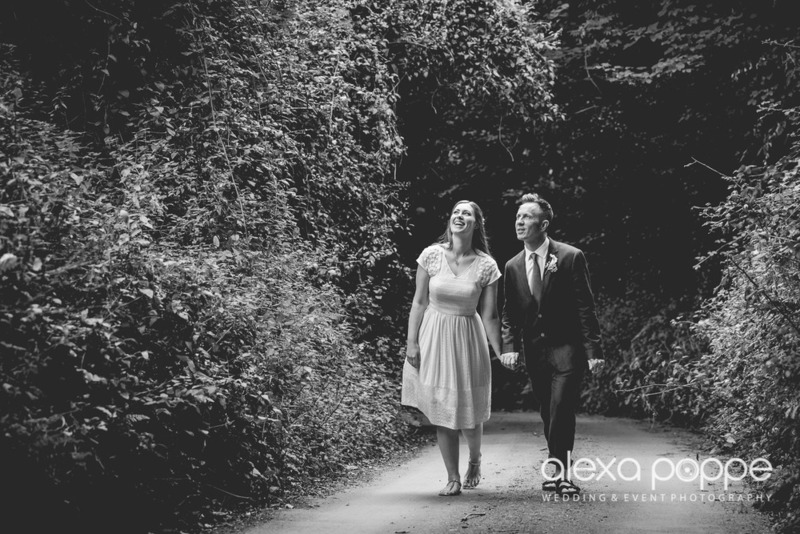 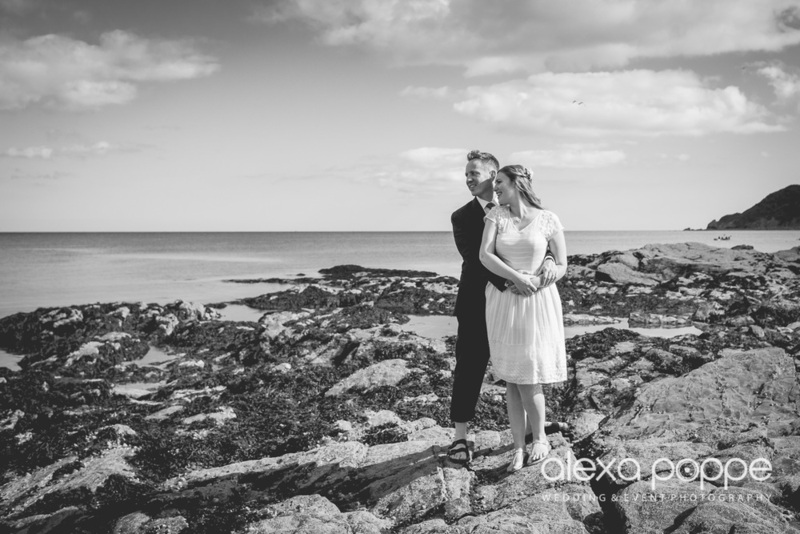 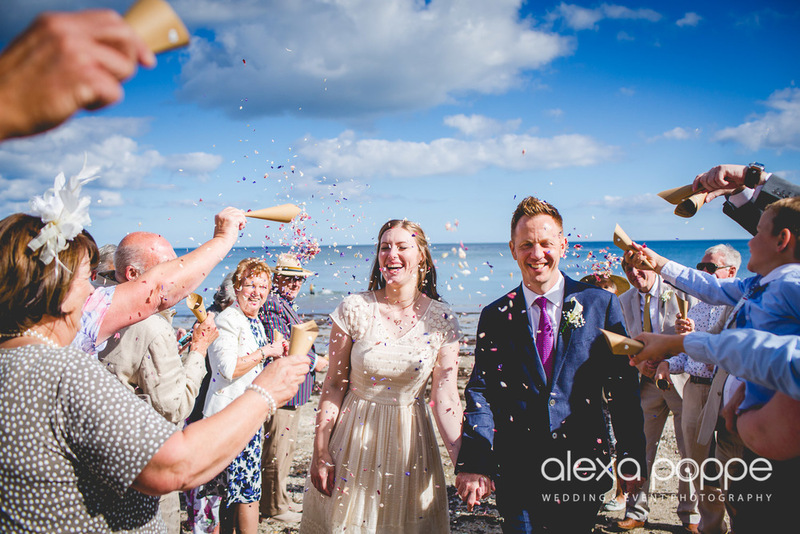 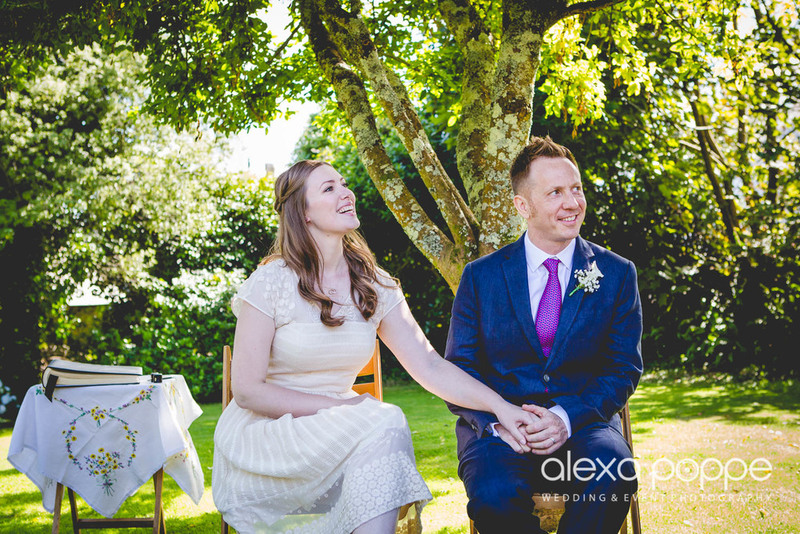 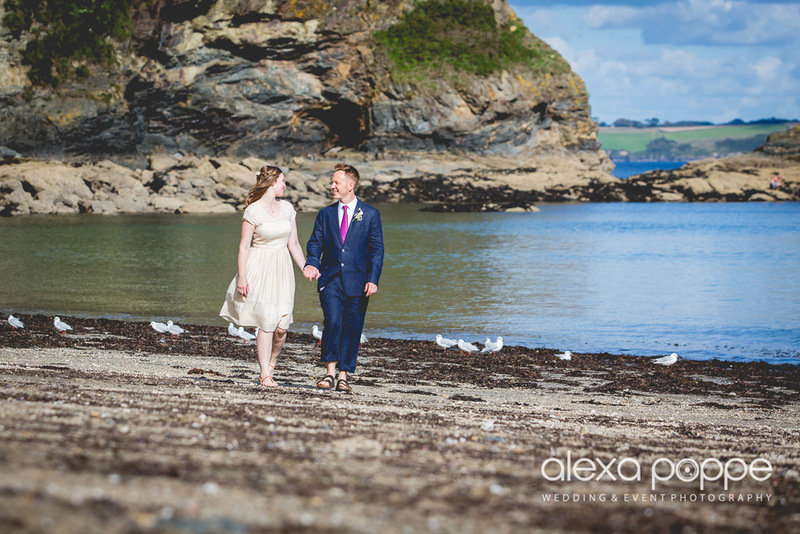 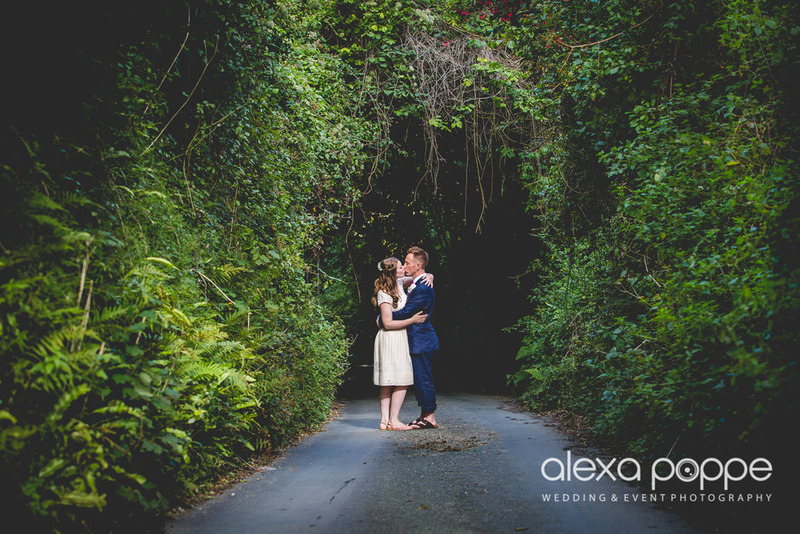 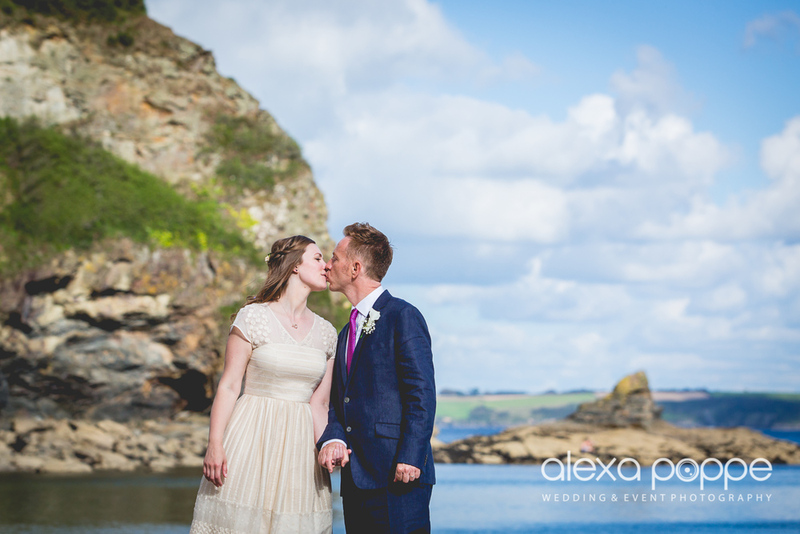 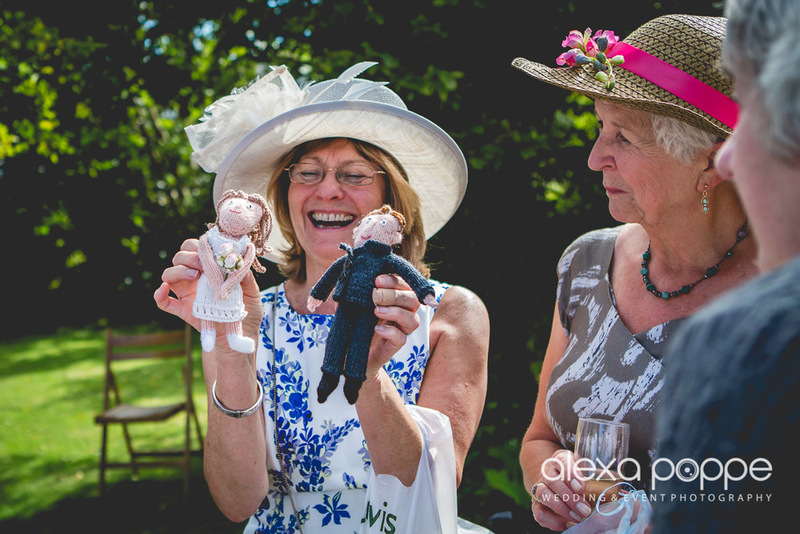 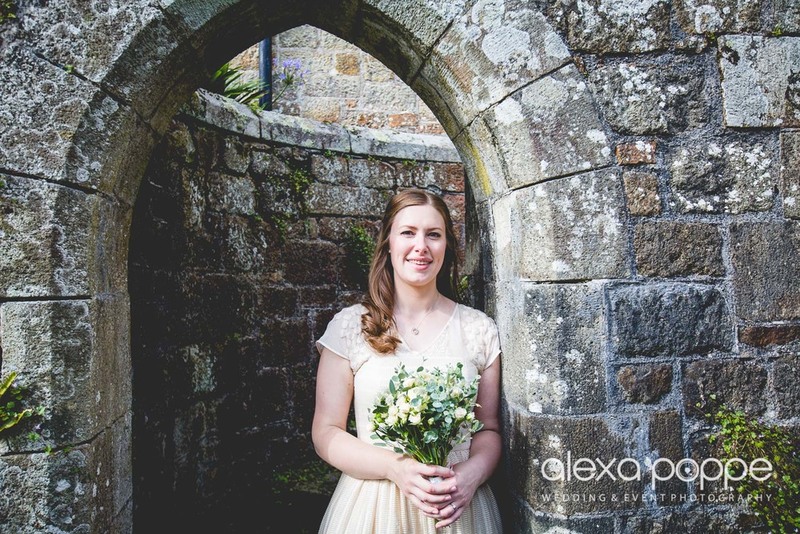 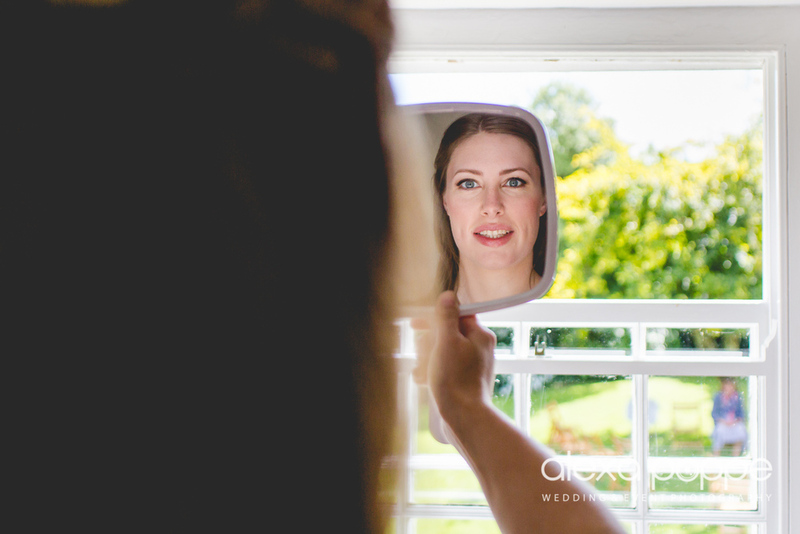 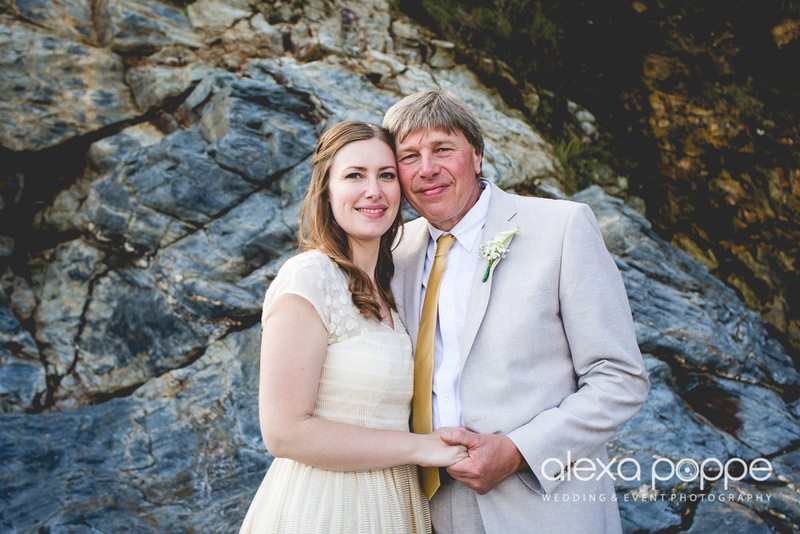 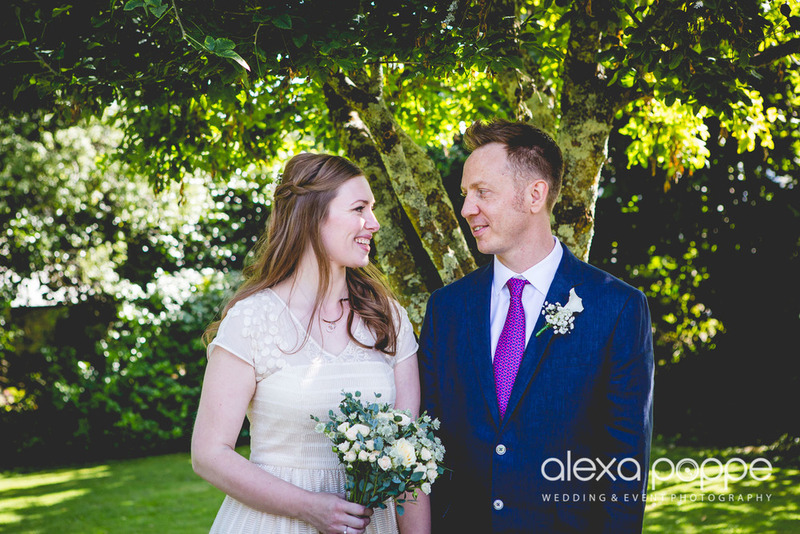 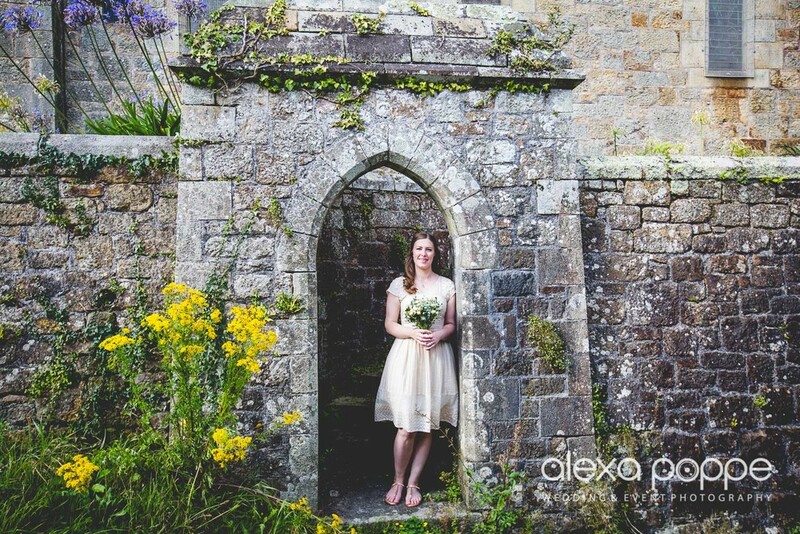 Vanessa and James celebrated their wedding in a small circle at 'The Old Farmhouse' in Porthpean on the southcoast of Cornwall. 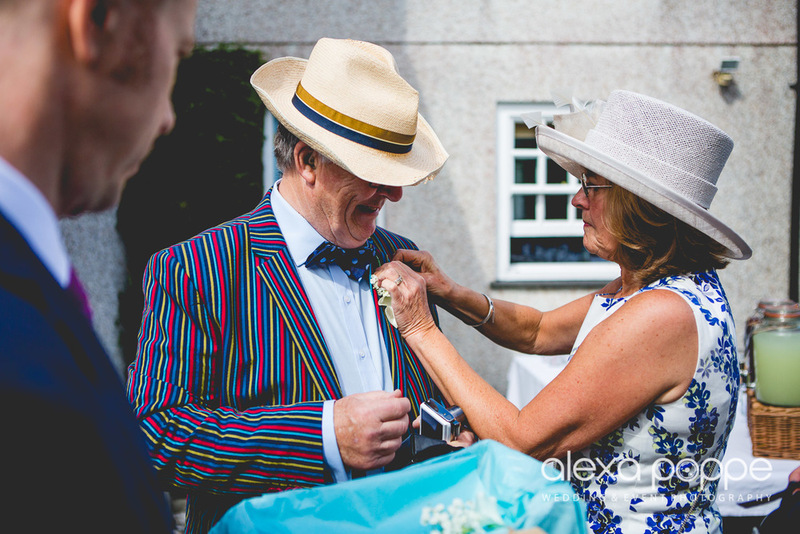 They did the legal part of their marriage at a registry office in New York, which gave them the freedom to celebrate their wedding 'their own way'. 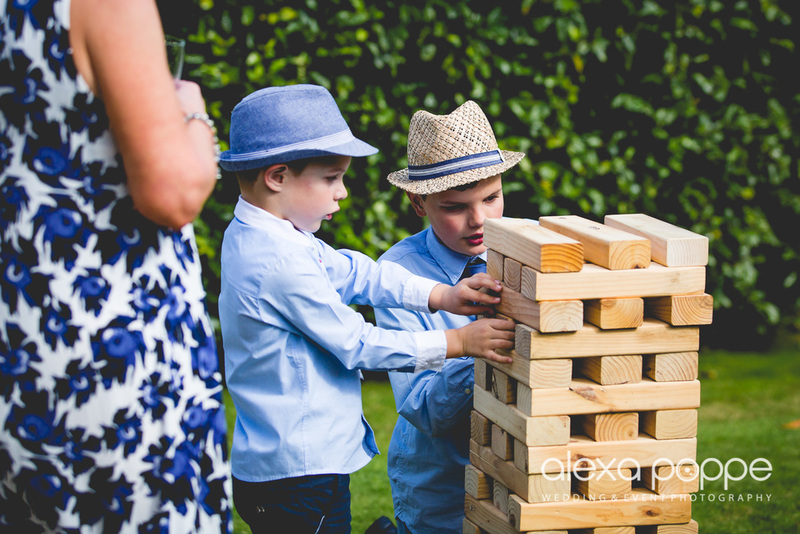 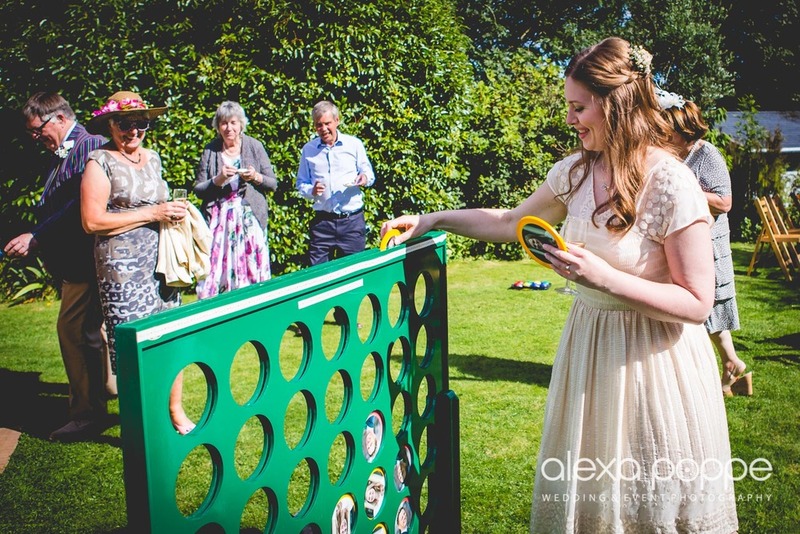 The properties large garden was perfect for the outdoor ceremony and garden games. 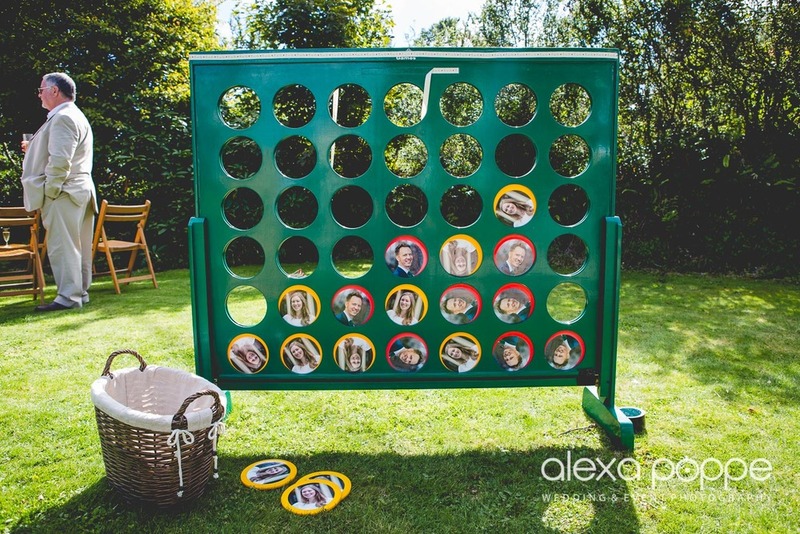 The giant connect four game was a favourite and I loved the surprise effect when Vanessa and James found out that the discs had portraits of themselves stuck on them! 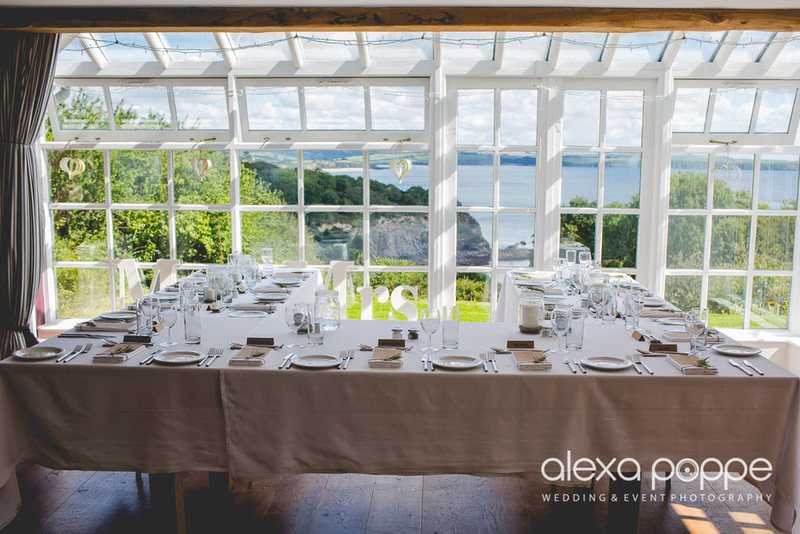 The spacious living room/conservatory served as a dining room with great seaviews. 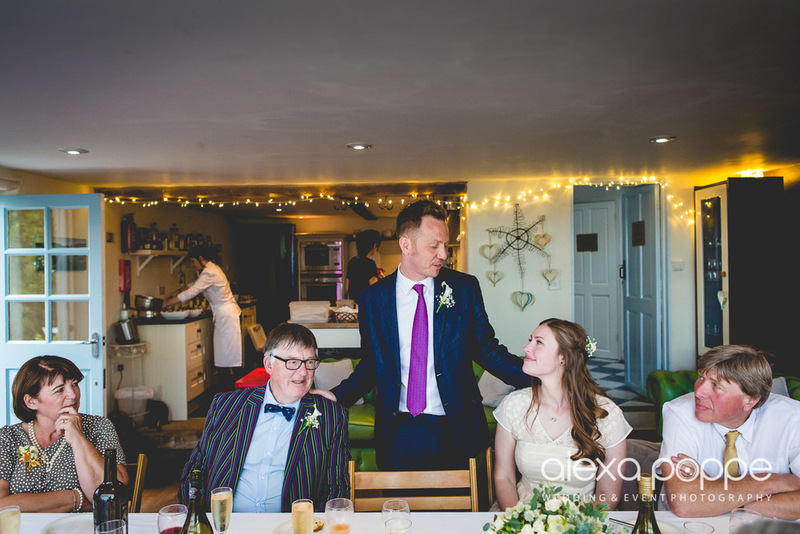 The 3 course meal was delicious and prepared by William from Pencoose Pantry, a high quality catering service. 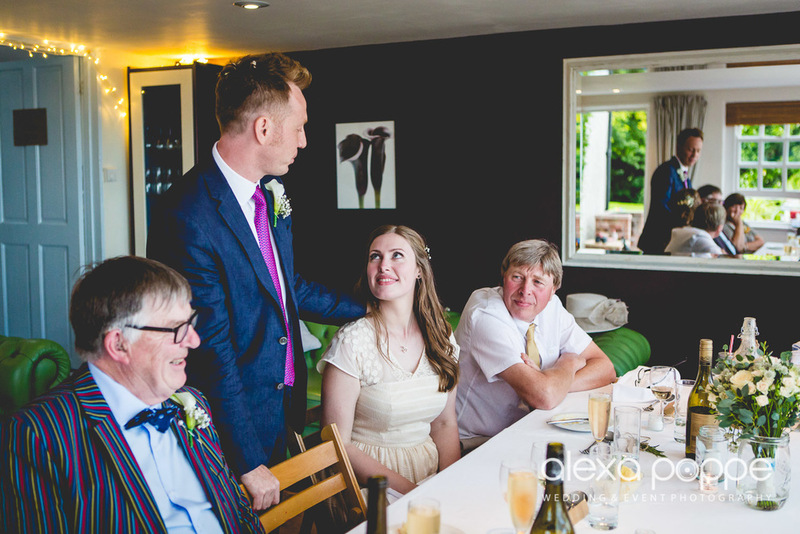 William believes in fresh food. 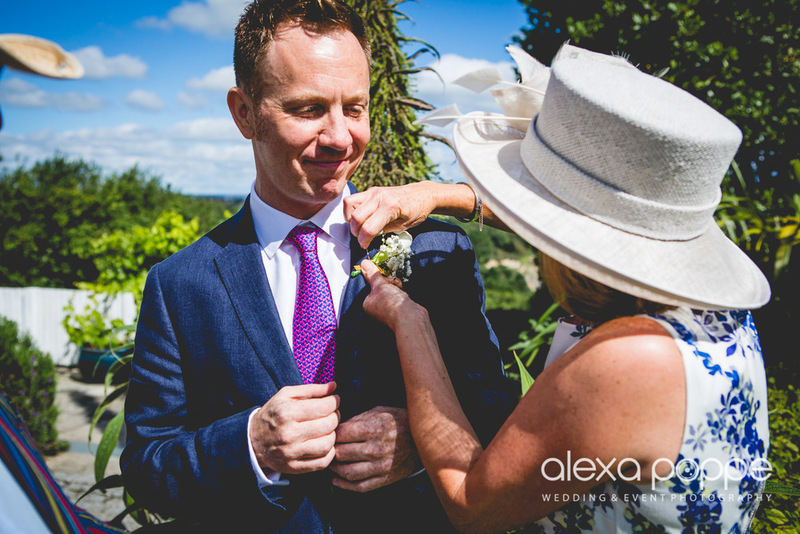 This means using local free range ingredients from his friends who look after their animals, vegetables and minerals. 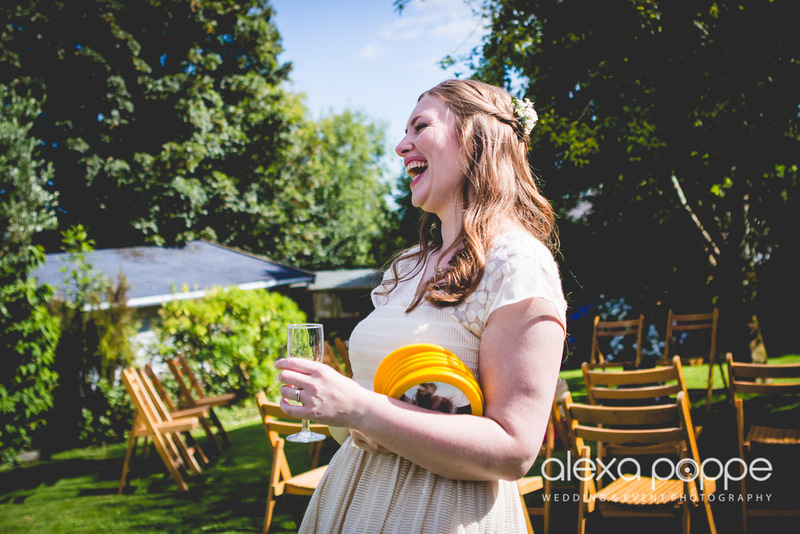 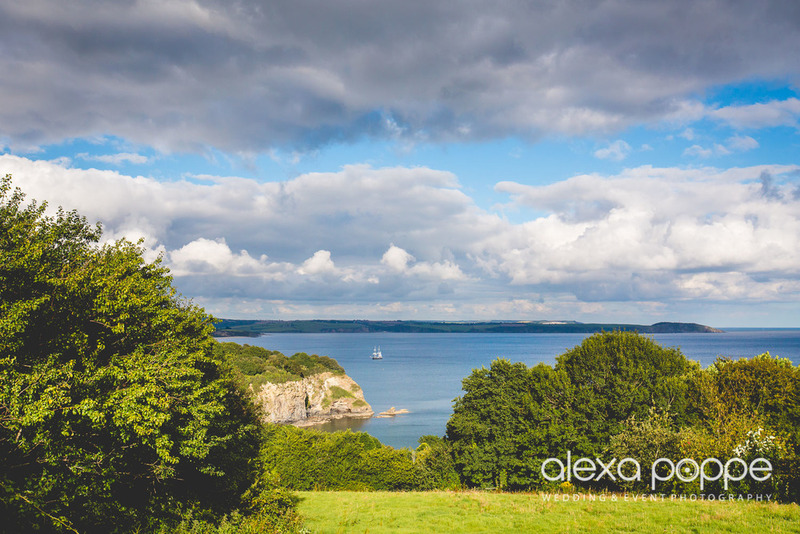 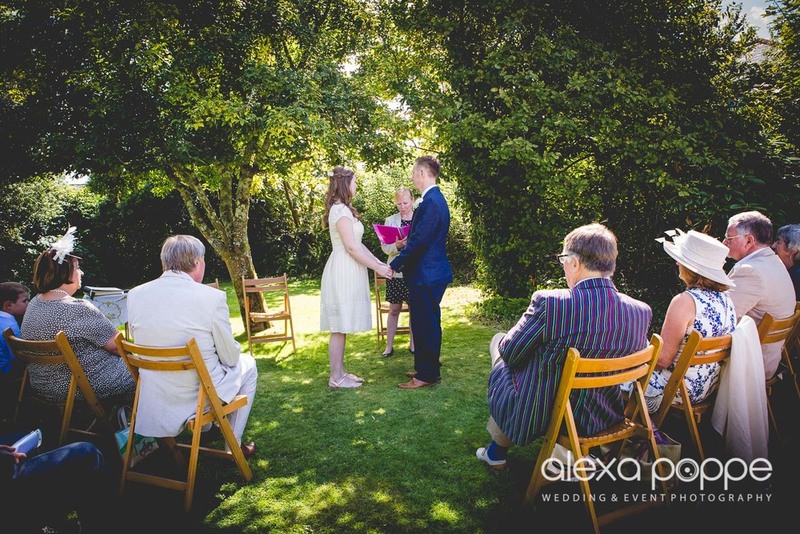 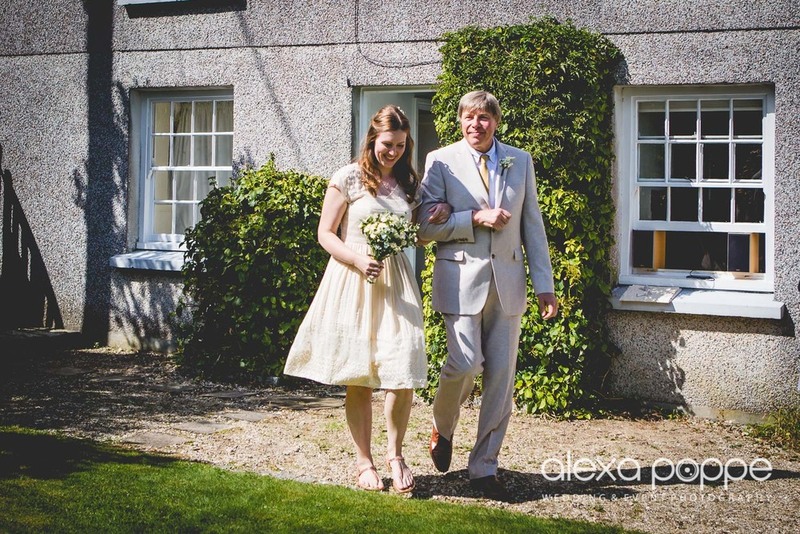 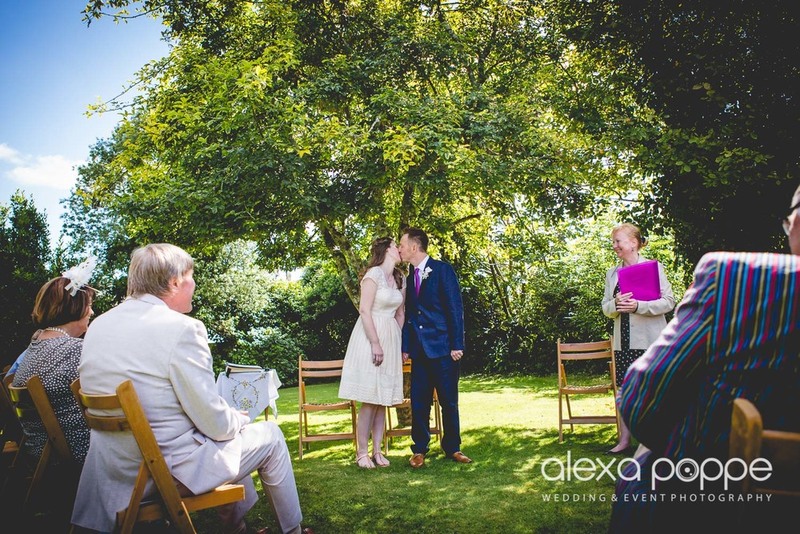 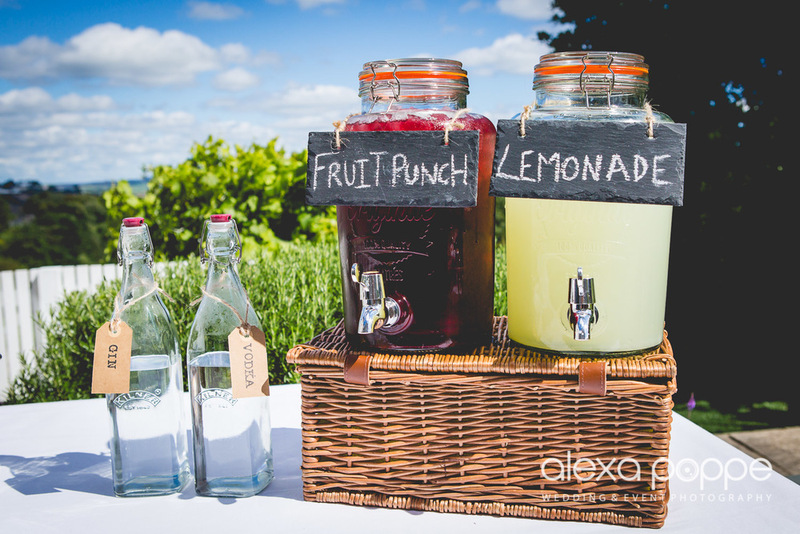 It always helps when the weather is good, but this was definitely a perfect hideaway for a small intimate wedding day.